There are a few places that truly show off the beauty of the American desert, and Sedona has got to be at or near the top of the list. This was taken from the Red Rock Crossing at the Crescent Moon Recreation Area late in the afternoon. Gratitude Moment: Today I am grateful for diversity. We are surrounded by beauty in all places if we just take the time to look. Like this post? Please consider sharing it via the buttons below. And thanks! 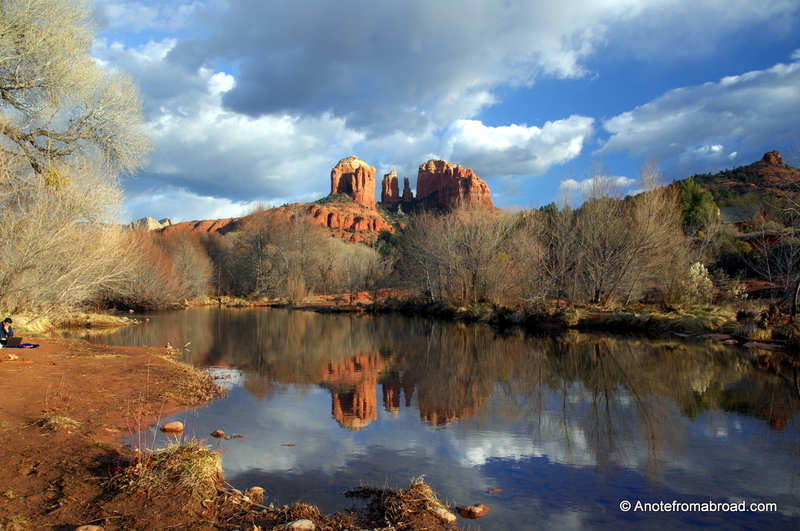 This entry was posted in Arizona, Photography, Picture of the day, United States and tagged Arizona, Photography, Picture of the day, Sedona, Travel. Bookmark the permalink. Thank you. Isn’t Mother Nature amazing? More and more I am amazed at the world we live in! The Sedona area has a mystical quality by reputation, but the physical natural beauty was what I loved. Thanks for visiting my blog!